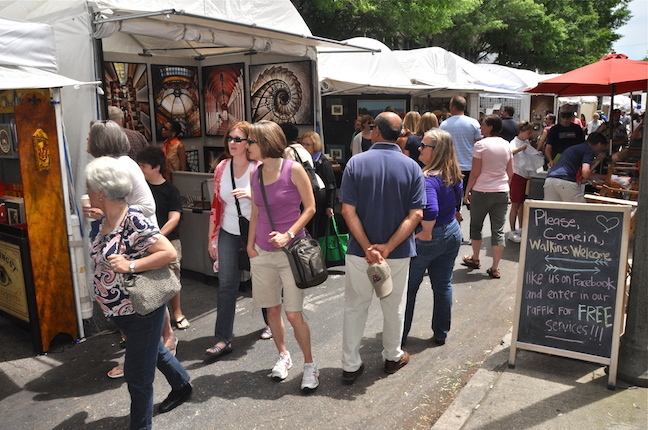 Celebrating its 79th anniversary in 2015, the Atlanta Dogwood Festival is not just the oldest fine arts festival in Georgia; it’s also the 3rd oldest in the country. The tradition was started back in 1936 by Rich’s department store founder Walter Rich, who thought the festival would help attract international attention to the city’s dogwood trees, which typically bloomed during the week-long event. With help from garden clubs and other civic-minded citizens, dogwoods were planted all across Atlanta, and performances included the Metropolitan Opera and Philadelphia Symphony. Over time the festival grew bigger, drawing artists from all across the country, attracting crowds of over 200,000 people, and pumping an estimated $50 million into the city’s economy. 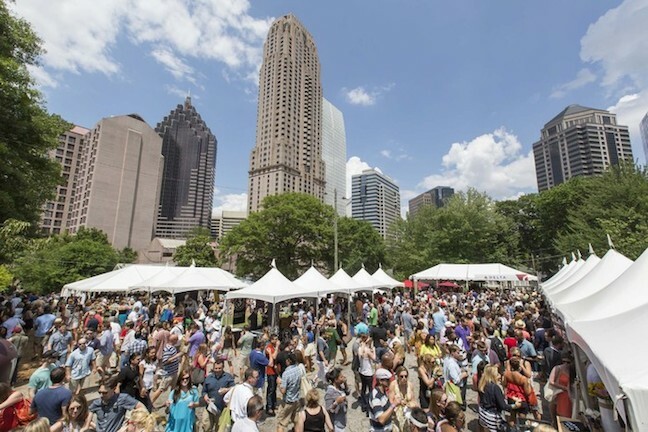 But in 2008, severe drought conditions forced organizers to move the event away from its historic home at Piedmont Park to Lenox Square, where it was downsized considerably. The festival was re-imagined as a 3-day event, eventually returning to the park with a radically different layout that would allow it to stretch throughout the entirety of the green space, thus minimizing the environmental impact on specific areas. Other features include live musical performances through the weekend, the ever-popular Disc Dog competition, upscale foodie fare in the park’s bathhouse Pavilion, a Kid’s Village (featuring kid-friendly exhibits, interactive art projects and a climbing wall), and classical carnival rides such as a vintage carousel. Although it’s one of the newer kids on the spring festival block, the idea behind the Atlanta Food & Wine Festival actually dates back to 2006. Dominique Love and Elizabeth Feichter, co-owners of a consulting firm that helps corporations and nonprofits maximize their community impact, were hired by Food & Wine Magazine to design a charitable campaign (eventually known as Grow For Good) commemorating the 25th anniversary of the Food & Wine Classic in Aspen. Love and Feichter’s visits to Aspen left them wondering why Atlanta didn’t have a festival that showcased the rich food and beverage traditions of the entire southeast region. But it wasn’t until February of 2010, when the duo sat down for drinks with Yeah! Burger chef Shaun Doty, that they finally decided it was time to make that dream become a reality. The festival has emerged as a Southern foodie favorite, attracting expert chefs, brewers and farmers from throughout the southeast. While the inaugural 2011 festival was focused on more broad topics and 2012 covered wild game, foraging, sustainable seafood and how we source our food, recent years have seen it delve much deeper into farming and agriculture, craft beer and wine, and exploring the rich tradition of Southern culture through music & food. If you want to trace the roots of Atlanta’s rebirth as the cultural mecca of the south, you have to go all the way back to 1974 and the historic election that resulted in Maynard Jackson becoming the city’s first African-American mayor. 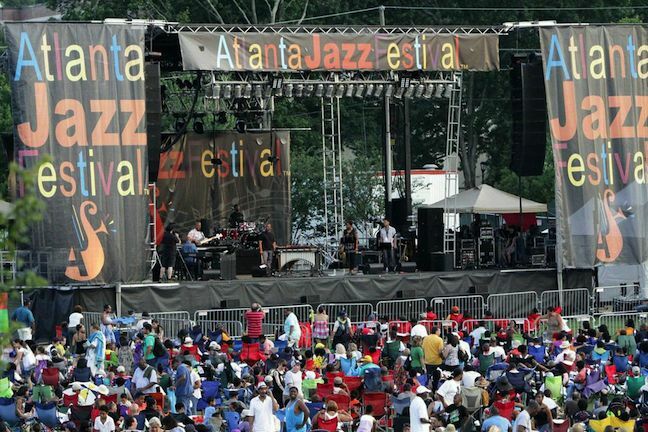 Originally known in 1978 as the Atlanta Free Jazz Festival, the Memorial Day weekend event has always been free to the public, and has remained focused on combining the biggest names from the international jazz community with the best and brightest artists Atlanta has to offer. This year’s lineup of performers includes legendary tenor saxophonist Pharoah Sanders (who made his name with John Coltrane’s ensembles of the mid-’60s), Grammy-winning contemporary jazz vocalist Diane Schuur and NYC-based ensemble The Rad Trads, who combine influences ranging from early jazz and New Orleans brass bands to Delta blues and rock & roll. One local artist who has performed at the festival multiple times is drummer/bandleader Ernest Coleman III (a.k.a. EC3), a regular fixture on the national Afro-Cuban jazz circuit. 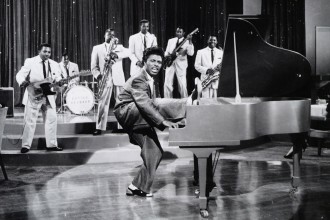 Coleman, the co-owner of Rhythm Universal Records, recalls growing up in a time where the marked racial divide made being black in Atlanta challenging, to say the least. Though it may be located on the east side of the metro area, Decatur is arguably the artsy, bohemian heart of the city, maintaining a relatively close-knit, small-town feel despite its geographical proximity to downtown Atlanta. In this progressive, upscale mixed-use community, homey brewpubs and foodie-friendly restaurants rub shoulders with trendy boutiques, chic art galleries and indie music venues, making it a haven for college students (Emory University and Agnes Scott) and young families with progressive ideals. This annual event features more than 150 fine artists and craftsmen from the southeast and beyond through a competitive jury selection process. From ceramics and jewelry to painting, sculpture and woodworking, you’ll find individual artists representing nearly every field, as well as collectives such as the Georgia Goldsmith’s Group, Callanwolde Clay Guild and Atlanta Glass Guild. The festival also includes a children’s section (located on the lawn of the First Baptist Church of Decatur), live musical performances on the Community Bandstand, dance performances at the Beacon Hill Arts Center, a Silent Auction, and enough food options to suit any appetite. If you’ve ever watched The Lord of the Rings films or episodes of Game of Thrones and wished you could spend time in those magical medieval realms, a day at the Georgia Renaissance Festival is arguably the next best thing. Sprawled out across 32 acres in the middle of the woods in rural Fairburn, this immense living history attraction is a Society for Creative Anachronism member’s dream come true. In fact, many SCA can be counted amongst the elaborately costumed characters who inhabit the realm, which is set during the 16th century reign of King Henry VIII. From jugglers, musicians and storytellers to peasants, armored knights and King Henry’s royal court, the festival’s actors interact freely with guests and never break character. And since patrons are encouraged to dress up as well, the line dividing reality from fantasy tends to be blurry at best. There’s a huge children’s section featuring rides, games, a petting zoo and the ever-popular Birds of Prey show. 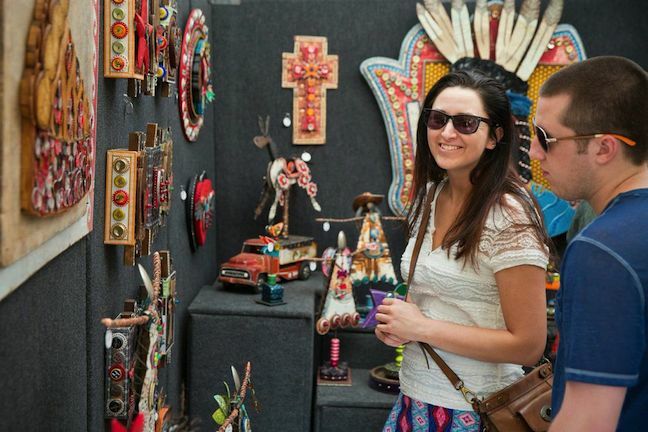 There are also more than 150 artisans selling fare ranging from handmade pottery and hand-blown glass to intricate period costumes and remarkable weapon reproductions. 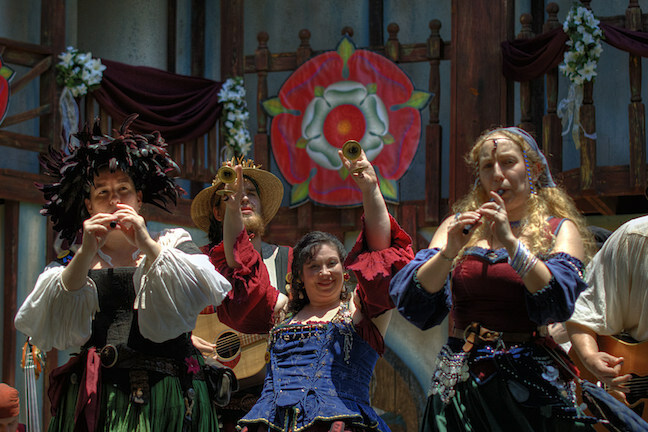 The resulting effect, which is like walking through a bustling British village in the 1500s, has kept loyalists coming back ever since the first RenFest in 1985. 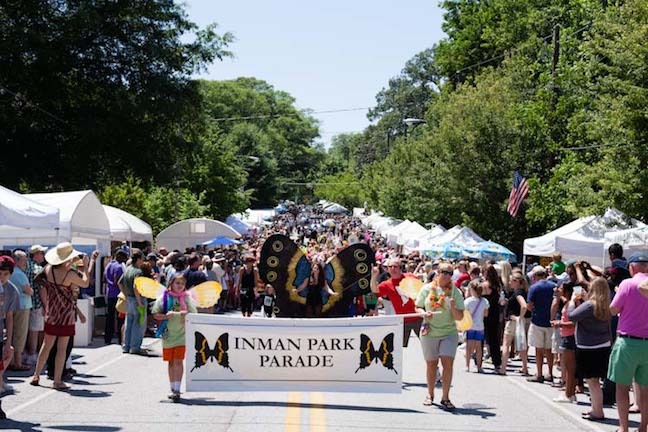 Officially listed on the National Register of Historic Places in 1973, Inman Park was originally developed in the 1880s as Atlanta’s first planned community. Though the community fell into decline in the 1950s, the neighborhood has had a renaissance in the last few decades, and currently has over 300 homes in various stages of renovation or restoration. This annual festival welcomes visitors to the “small town downtown” for a two-day celebration that includes parades, live entertainment, street parties and a tour of some of the neighborhood’s most beautiful historic houses. 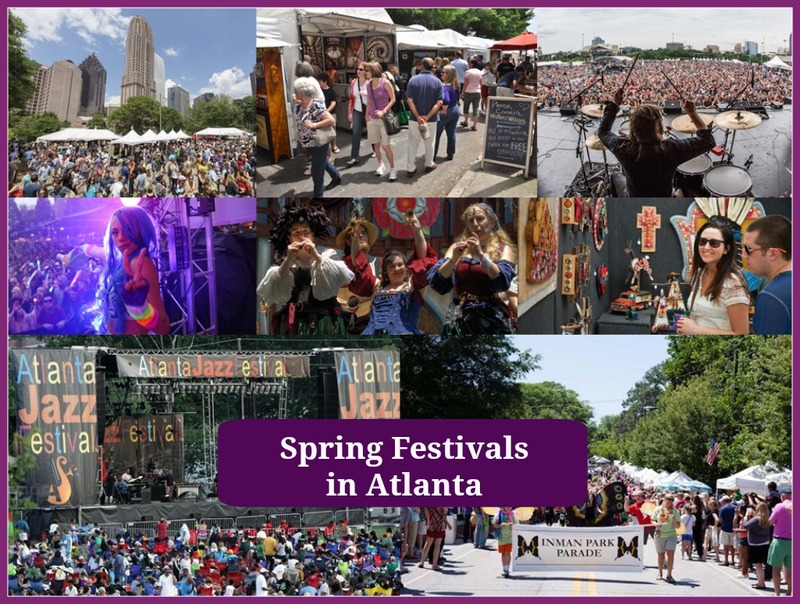 The event is a unique celebration of both small-town living and urban progressiveness, attracting revelers from all across the metro Atlanta area. When Music Midtown seemingly disappeared in 2006 (it returned as a one-day event in 2011), SweetWater 420 was the first multi-day music festival to step up and fill the gaping void. The event was created by Atlanta’s SweetWater Brewery, whose motto of “Don’t float the mainstream” made it an instant favorite among the city’s burgeoning mass of craft beer lovers. Now in its 11th year, this year’s festival will feature their strongest musical lineup to date, with three stages playing host to 48 musical acts. Big-name artists include Thievery Corporation, Cold War Kids and Snoop Dogg on Friday; Gov’t Mule, Primus and Cage The Elephant on Saturday; and Moe, The Wailers and 311 on Sunday. 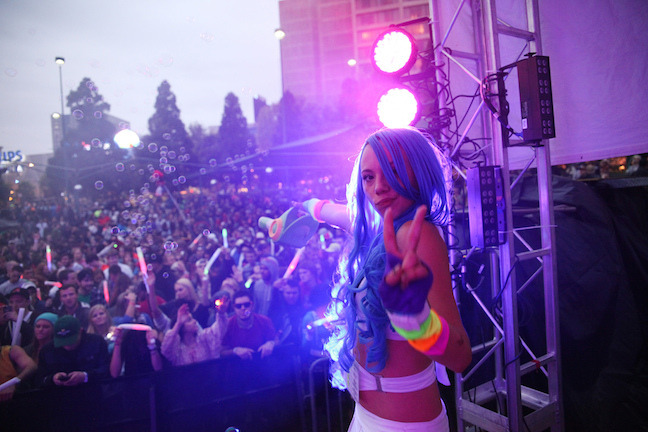 The Not So Silent Disco Stage will also feature a variety of DJs spinning House, EDM and various other forms of dance music all day long. But SweetWater 420 isn’t just a music festival: There’s also a Relapse Comedy Tent featuring the best in local improv and standup comedy (including Rory Scovel, who headlines all 3 nights); eco-friendly tips at the Planet 420 Stage; and a SweetWater Experience Tent offering a unique variety of samplings, cheese and beer pairs, seminars on home brewing craft beer and a live Q&A with SweetWater owner Freddy Bensch. Manchester, Tennessee has Bonnaroo; Indio, California has Coachella; Chicago, Illinois has Pitchfork and Lollapalooza. But now that Atlanta has the Shaky Knees Festival, local music fans no longer need to travel hundreds of miles to experience one of the nation’s finest destination music festivals. 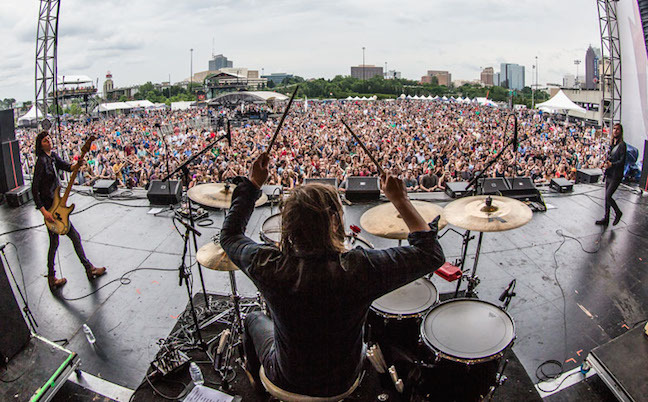 Launched in 2013, the fledgling festival had grown like rampant kudzu in just three years, relocating to its current home in the Old Fourth Ward’s 17-acre Central Park after previous editions were held at Masquerade Music Park and Atlantic Station. In terms of talent, there are ’90s alt-rockers (The Strokes, Wilco, Spiritualized, Ride, Interpol, The Pixies); alt-country, folk and bluegrass acts (The Avett Brothers, Aimee Mann, Ryan Adams, Old 97s, The Mountain Goats); beloved local favorites (Neutral Milk Hotel, Mastodon, Manchester Orchestra, The Black Lips, Diamond Rugs); and an eclectic array of indie-rock favorites (Panda Bear, Best Coast, Minus the Bear, Mowgli, Speedy Ortiz). From all, you would probably see me at Shaky Knees Festival dividing my attention between Strokes, Pixies and Mastodon. Not Interpol. Saw them once, thought their live act was painfully dull, but still love them on my iPod though. Why is it called shaky knees?